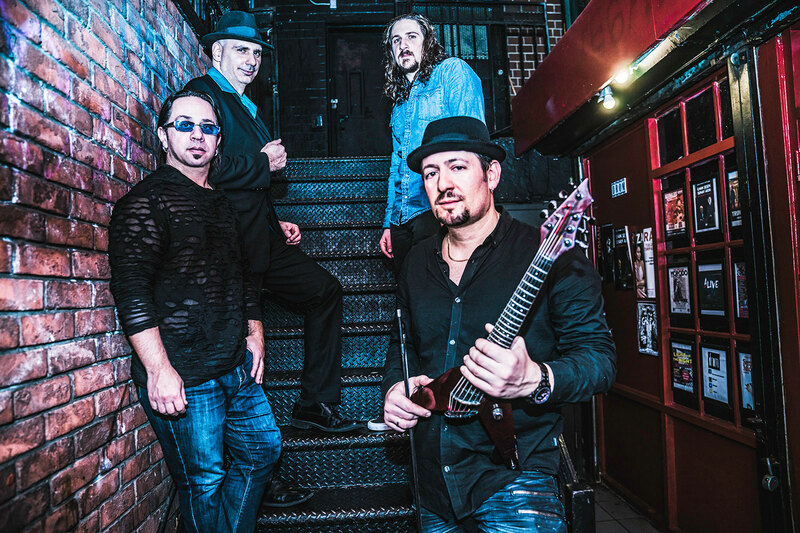 Led by electric violinist/vocalist Joe Deninzon , who has been called The Jimi Hendrix of the electric violin, Stratospheerius has showcased their “frenzied melange of progressive rock, jazz fusion and funkabilly” throughout the world. The New York-based group has opened for Martin Barre, Alex Skolnick, John 5 & The Creatures, Gary Hoey, Mike Stern, Tim Reynolds, Mickey Hart, and John Scofield, among many others. The group’s influences include Yes, Spock’s Beard, Muse, Frank Zappa, Mahavishnu Orchestra, and King Krimson. Stratospheerius was a winner of the John Lennon International Songwriting Competition the Musicians Atlas Independent Music Awards. They have been featured in Progression, Relix, Downbeat, and Jazziz, among other publications. Their latest CD on Melodic Revolution Records, Guilty of Innocence, has been widely acclaimed by critics and fans.